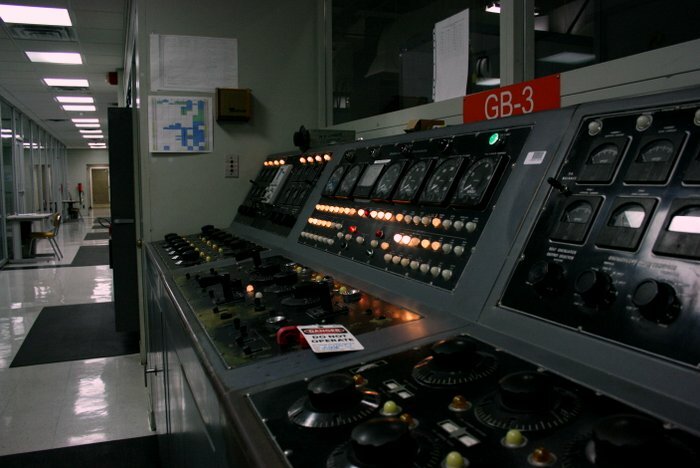 Last December, I had the honor of receiving a personal five hour tour of the VOA transmitter site near Greenville, NC, USA. It was literally a dream come true for me, and providing a more in-depth understanding of the history, the equipment, the antennas and, most importantly, the people who keep this remarkable site on the air 24/7. You can read all about my experience in a feature article I wrote for the March 2012 issue of Monitoring Times Magazine. Just before my article was sent to print, I received word from my new friends at the transmitter site that it had been renamed the “Edward R. Murrow Transmitting Station.” Fortunately, timing was on my side and my article carried the new name throughout. This was much more than a re-naming of the site, however. I knew that to some degree, it was a reassurance by the BBG (Broadcasting Board of Governors) that the site, which had been slated for closure as recently as 2010, was to have a future that would reflect its honored past in international broadcasting. 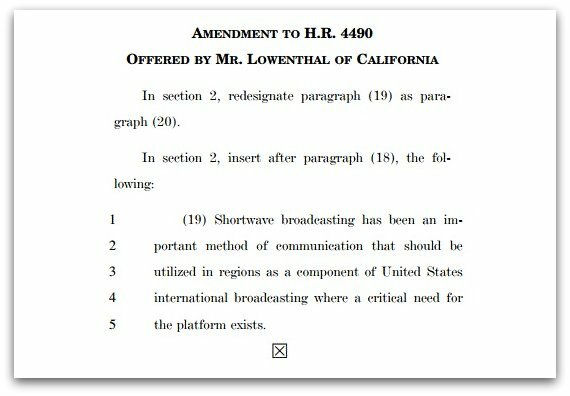 Clearly, the site is very important; it’s the last remaining international broadcating station that is not only wholly owned by the US government, but is nonetheless on US territory, where no restrictions can be imposed upon either what is broadcast, nor for whom the broadcast is targeted. On a side note, perhaps what disappoints me most about the Radio Canada International cuts, and why I’ve been so vocal about it, is the fact that they plan to close their Sackville, New Brunswick transmitting site. In a sense, it’s the Canadian cousin to the VOA’s Murrow site, which is to say, the only international broadcasting site in Canada, that’s fully owned by Canada and grounded firmly on Candian soil. Tuning controls on one of the 500 kW Continental Electronics transmitters I admired at the Edward R. Murrow Transmitting Site. Click to enlarge. I’m very pleased the US government and the Broadcasting Board of Governers made what I strongly believe to be the right decision, namely, keeping Edward R. Murrow Transmitting station open and active. Once that transmission infrastructure is gone, it’s gone. Fortunately, this re-dedicationconfirms that it will live on. I was personally invited to the dedication, but sadly will be unable to attend, the distance (twelve hours by car) being fairly prohibitive. Yet I wish you well, broadcast heroes: long live the Edward R. Murrow transmitting site! A Voice of America site once scheduled for closure has not only been saved but will be rededicated Wednesday in a ceremony featuring the son of broadcasting pioneer Edward R. Murrow. Voice of America Site B, located 15 miles east of Greenville outside of Grimesland, was named for the legendary broadcaster when it opened in 1963. Murrow’s name was removed from the building as part of security measures taken after the Sept. 11, 2001, terrorist attacks. Murrow’s name will be returned during a 10 a.m. ceremony being held at the site, 3919 VOA Site B Road. […]The Broadcasting Board of Governors announced in February 2010 it wanted to close VOA Site B so it could save about $3.1 million annually and focus on upgrading its satellite, digital and other broadcasting technologies. The site B location broadcasts via short-wave radio to Cuba, the Caribbean and South America. In the past it also has broadcast to West Africa. 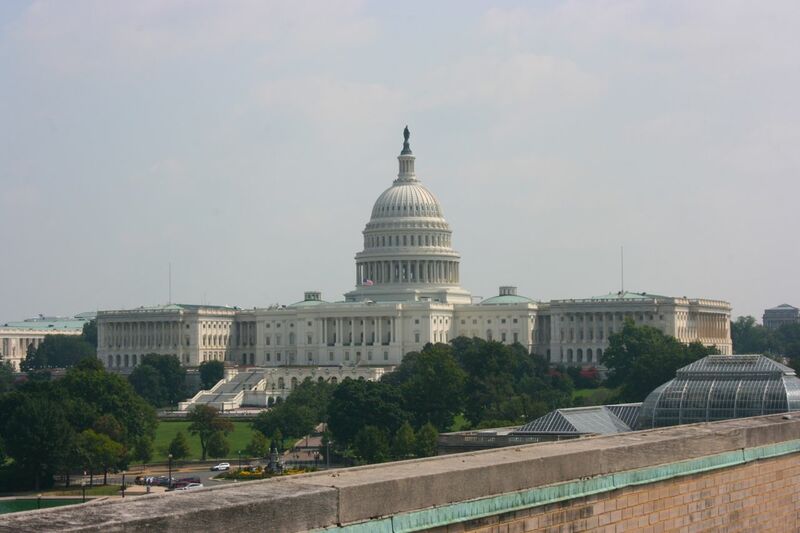 Jones and U.S. Rep. G.K. Butterfield, D-N.C., worked to stop the closure, aided by another member of the North Carolina delegation, Democrat David Price. The closure never came because Congress had difficulties finalizing its 2010-11 budget and funding was included in continuation budgets. The broadcasting board notified Jones in January 2011 that the administration wouldn’t pursue the site’s closure. By that time Victor Ashe, former mayor of Knoxville, Tenn., and former ambassador to Poland, joined the broadcasting board and toured the VOA Site B facility. Ashe said he was impressed by the facility’s staff members and their dedication to the organization’s mission. “We believe free and honest information is a prelude and a foundation of a democratic society,” Ashe said. Like other proponents of the site, Ashe said it’s important to keep VOA Site B operating because it’s the only short-wave Voice of America facility operating under U.S. jurisdiction. Other short-wave locations can be shut down at the insistence of its host nation. Other methods of broadcasting — radio, television, the Internet and social media — can be cut off or blocked. Edward R. Murrow’s legacy as a journalist and his rich understanding of the importance of press freedom as part of the bedrock of democracy along with the key role of U.S. international broadcasting as a model of a free press will be highlighted in the ceremony to be held in the lead-up to World Press Freedom Day, May 3rd. The transmitting station, a 24/7 broadcast facility, supports the mission of the Broadcasting Board of Governors to “inform, engage and connect people around the world in support of freedom and democracy” through about 2,200 hours of transmissions each month. Following the ceremony a tour of the facility will be offered. Register through Eventbrite by April 26, 2012. For more information, please call 202-203-4400 or email pubaff@bbg.gov. The Broadcasting Board of Governors is an independent federal agency, supervising all U.S. government-supported, civilian international broadcasting, whose mission is inform, engage and connect people around the world in support of freedom and democracy. BBG broadcasts reach an audience of 187 million in 100 countries. BBG networks include the Voice of America, Radio Free Europe/Radio Liberty, the Middle East Broadcasting Networks (Alhurra TV and Radio Sawa), Radio Free Asia, and the Office of Cuba Broadcasting (Radio and TV Martí). This entry was posted in Broadcasters, News, Shortwave Radio and tagged BBG, Broadcasting Board of Governors, Edward R, IBB, IBB Site B, Murrow Transmitting Station, Radio Marti, Shortwave Radio, VOA, VOA Greenville, VOA shortwave, VOA Site B, VOA Site B Dedication on May 1, 2012 by Thomas.